Location: Follonica - Staz. 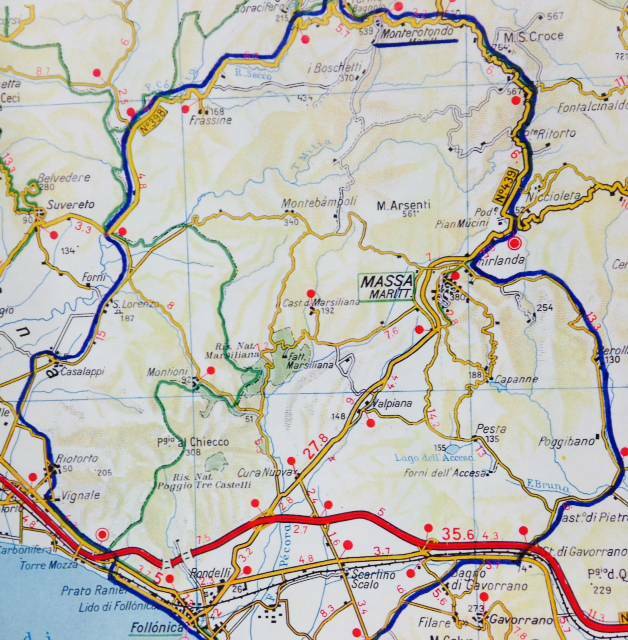 Gavorrana - Ribolla (32 km) - Roccastrada (47 km) - Monticiano - Turn Prata (76 km) - Prata (98 km) - Massa Marittima - Follonica. 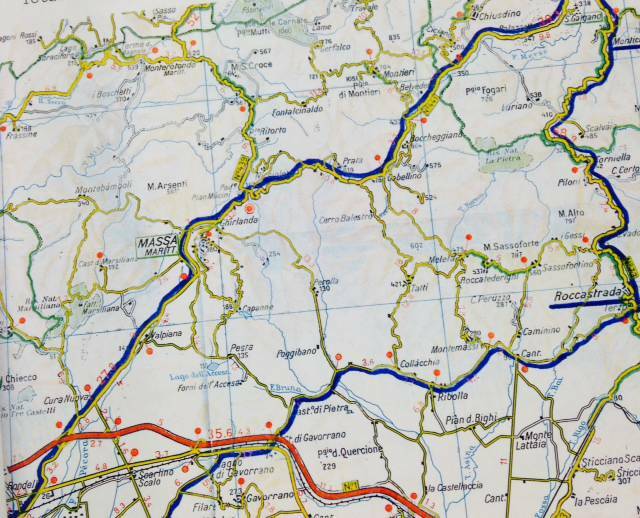 Route description: Sliding up to Ribolla. Then climb of about 15 km, an increase of Roccastrada (475 m asl). The subsequent descent towards Monticiano and the junction for Prata also presents steep climbs. The trip to Prata has a vertical drop of 400 meters to overcome. Back in Massa Marittima and Follonica. Helmet recommended. Total height of this stage: about 1000 meters. 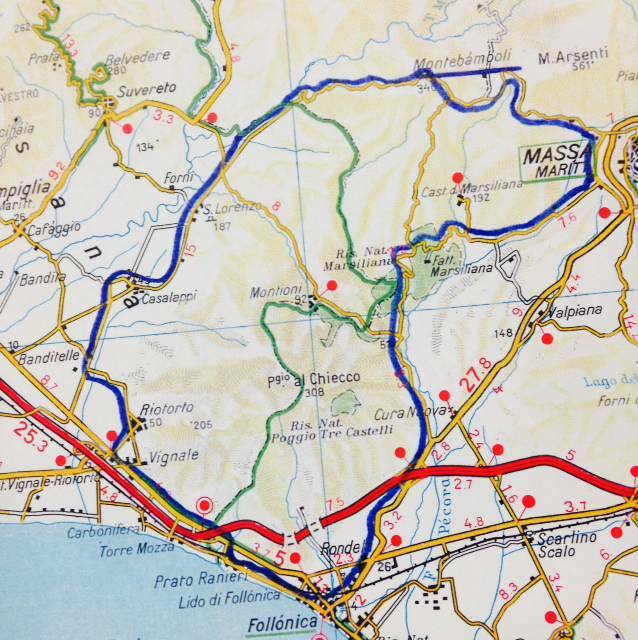 Course: Follonica - Riotorto - Casalapi - San Lorenzo (23 km) - Monterotondo (49 km) - Ghirlanda (64 km) - Perola - Bagn. Gavorrano - Follonica. 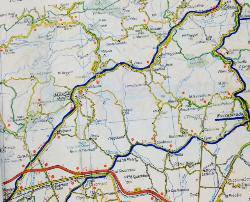 Course Description: Plain up to 35 Km. So, the slope begins to Monterotondo up to a maximum of 620 meters above sea level. 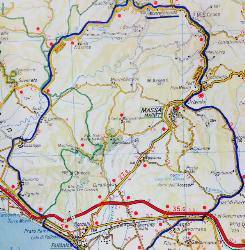 The descent of Garland and Bagno di Gavorrano is along beautiful roads that lead to Follonica. An alternative is to directly connect garland and Follonica (20 km shorter). Location: Follonica - Casalappi - San Lorenzo (23 km) - climb to Montebamboli (35Km/340 m) - Departure for Massa - Marsili - Follonica. Course description: approx. 26 km before getting to Montebamboli through a very nice street but steep. Many ups and downs present in the next 8 km. Then very steep descent towards Massa Marittima. Then, away from traffic, away to the Marsiliana (or Scarlino) and return to Follonica. 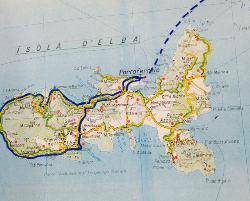 Location: Follonica - Piombino (with vehicle) and then by ferry to Portoferraio. Round trip from Portoferraio - Marciana - Marina di Campo - Procchio - Portoferraio and return by ferry from Piombino. Back to Follonica with the vehicle. Course Description: unique scenery but challenging course. Narrow winding road with ups and downs continue. Total climb: approx 600 Mtr.